Update: These offers for the Starwood Preferred Guest® Credit Card from American Express and the Starwood Preferred Guest® Business Credit Card from American Express have expired. Learn more about the current offers here. While I’ve long had the Alaska Airlines Visa Card, it has been noticeably missing one very common perk offered by co-branded US airline credit cards nowadays — a free first checked bag. Well, it looks like that has finally changed. Alaska Airlines today announced it is doing away with the standard fee for the first checked bag for Alaska Airlines Visa Signature consumer cardholders. 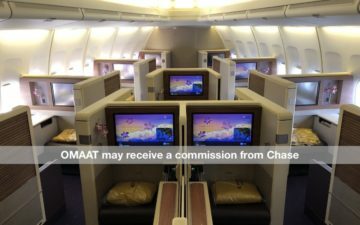 They were playing around with this concept earlier in the year, as Alaska offered all passengers a free checked bag for the month of January, and then extended the promotion into February for those with their co-branded credit card. That’s a pretty nice perk if you fly Alaska frequently but don’t have status. Keep in mind Alaska is probably the US airline which does the best job with checked bags. They have a 20 minute baggage service guarantee. Through this guarantee, if your bags are not at baggage claim within 20 minutes of your plane’s arrival at the gate, you get a $25 discount code for use on a future Alaska flight, or 2,500 bonus miles (the latter is a better value, as Alaska miles are worth much more than a penny each to me). So if there’s a US airline I don’t mind checking bags on, it’s Alaska. If you haven’t yet applied for the Alaska Visa Signature Card, the best sign-up bonus on the card is available directly on Alaska’s website. Just make a “dummy” booking and go all the way to the purchase page for any ticket (if you already have the card, don’t log into your Mileage Plan account when doing so). There you’ll see an offer for 25,000 bonus miles upon account approval, plus a $100 statement credit after making at least $1,000 in purchases within 90 days of your account open date. That’s not a huge sign-up bonus, though you can earn the bonus on the card even if you’ve already had it, and Alaska miles are extremely valuable. However, if the goal is simply to earn as many Alaska miles as possible through everyday credit card spend, then the Starwood Preferred Guest® Credit Card from American Express and the Starwood Preferred Guest® Business Credit Card from American Express are much better options. 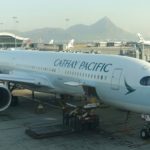 That’s because those points can be converted into Alaska Mileage Plan miles at a 1:1 ratio, and for every 20,000 points you transfer you get a 5,000 point bonus. That’s basically like earning 1.25 Alaska miles per dollar spent, if transferring points in the right increments. This is more Alaska playing catch up than innovating, though it’s still nice to see this benefit added. Over the years I’ve picked up the Alaska Visa Card several times, so this is a nice added perk for the card. Will anyone get use out of the first free checked bag benefit now offered by Alaska? Hi Lucky, Do you know if BoA will match me to the $100 credit offer? I applied (approved) in mid June so not too long ago. Not sure what their matching policy is. Thx! Lucky – can you ask them if they will also do this for their Canadian Alaska Mastercard holders? The benefit was in effect at least as of 6/20/2015. I had a flight that day, got a free checked bag, and I have no status. I did suspect it was because of the BoA AS Visa. Headed to Costa Rica on Alaska in December with my Mom and sister. We’ll save $150 round-trip with this new benefit! Way to go Alaska! @ Ang — I doubt it, to be honest, since it’s not totally publicly available (you have to be booking a ticket, so it’s tough to link to directly), but it can’t hurt to ask.